Ham on white is a simple sandwich that can see many variations. It isn’t always so effortless to capture this resilience, so we left out the mustard, lettuce, cheese, tomato, mayonnaise, and everything else. The options are endless, like the path winding into the horizon. 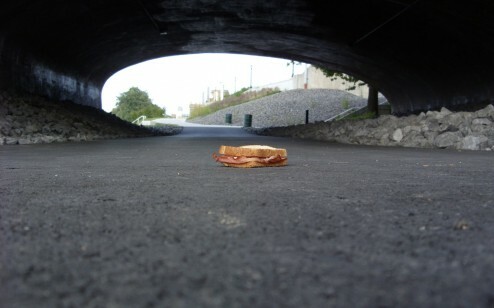 Though every sandwich has to start somewhere; from under a bridge, one can only go up. Location: under the Market Street Bridge at the Wilkes-Barre River Commons.